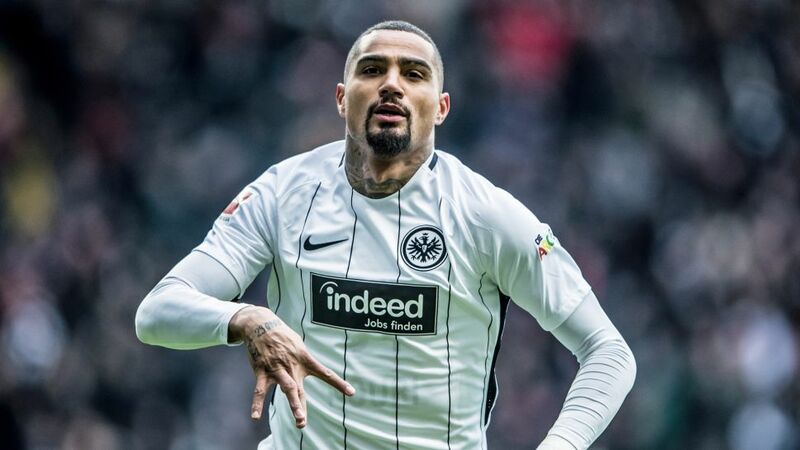 Kevin-Prince Boateng may be leading Eintracht Frankfurt’s charge towards the European places in the Bundesliga this season, but according to the man himself, he should have been rubbing shoulders with Cristiano Ronaldo such was his ability. Boateng has enjoyed stunning return to prominence this season, plundering six goals and an assist from the heart of the Frankfurt midfield following his move from Las Palmas last summer, but according to the player himself, the heights of the world game were his to scale. Watch: Boateng answers quick-fire questions with TagHeuer! While his younger half-brother Jerome Boateng is recognised as one of the world's top central defenders, winning silverware with Bayern Munich and Germany, Boateng's trophy cabinet contains just one Serie A title (won with AC Milan) and an English League Cup (won with Tottenham Hotspur). The former Ghana international is content with how things have panned out, though, and is keen to end his career with a bang at Die Adler.